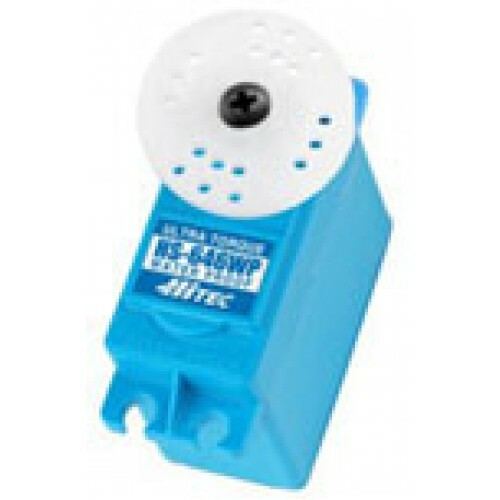 The HS-5086WP is the smallest in Hitec's class of waterproof servos. With heavy-duty metal gears and a ball bearing supported output shaft, the HS-5086WP is among the most durable and reliable micro servo for wet conditions. Possessing the same size as our popular HS-85MG and the industry's first IP67*rating, this spunky mini will keep your RC vehicle, boat, aircraft or robot watertight, no matter what the weather or surroundings. Connector Wire Strand Count / Gauge: 40 Strand / 25 ga.